Item number DS411 - Aquarius - Image © Digital Sky LLC. 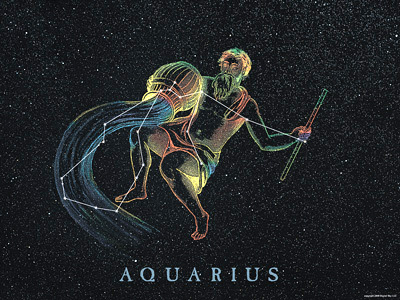 Aquarius is one of the oldest of the constellations. Aquarius is identified with water as are its neighbors, Capricornus and Pisces. Perhaps this is because the Sun is in these constellations during the winter months (for the northern hemisphere) which is usually the rainy season.